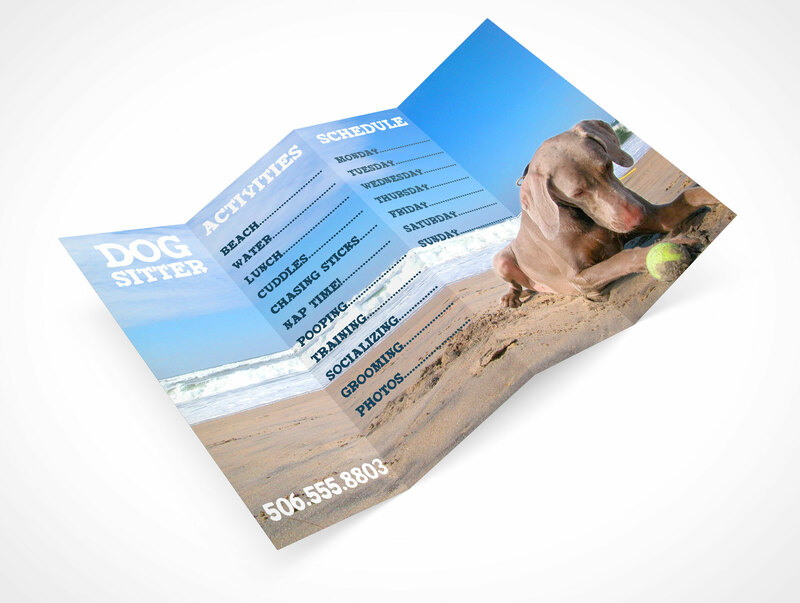 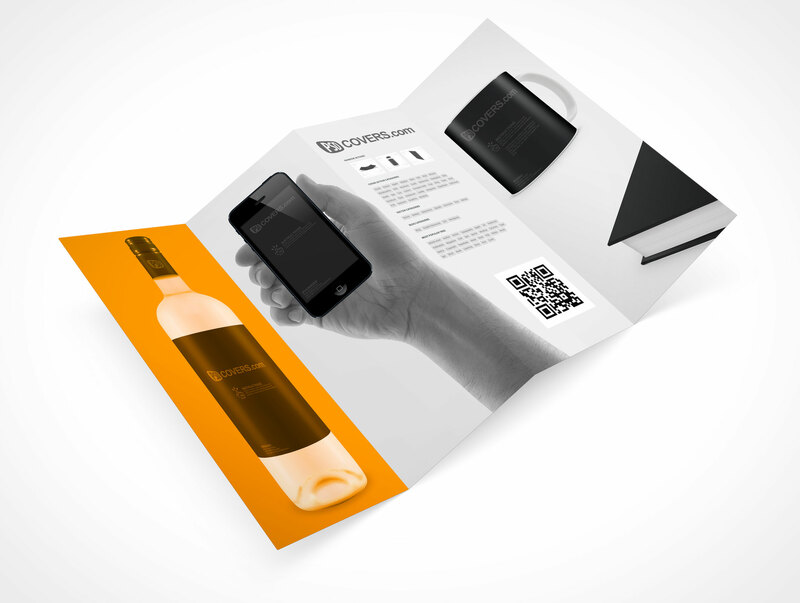 FLYER004 is a quad panel flyer representing an 8.5×14 inch printed brochure. 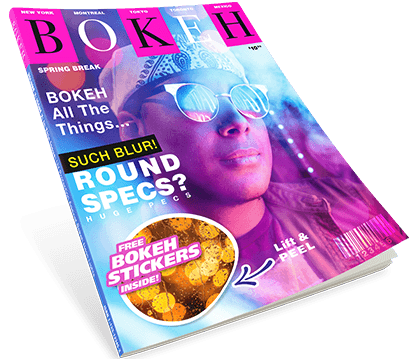 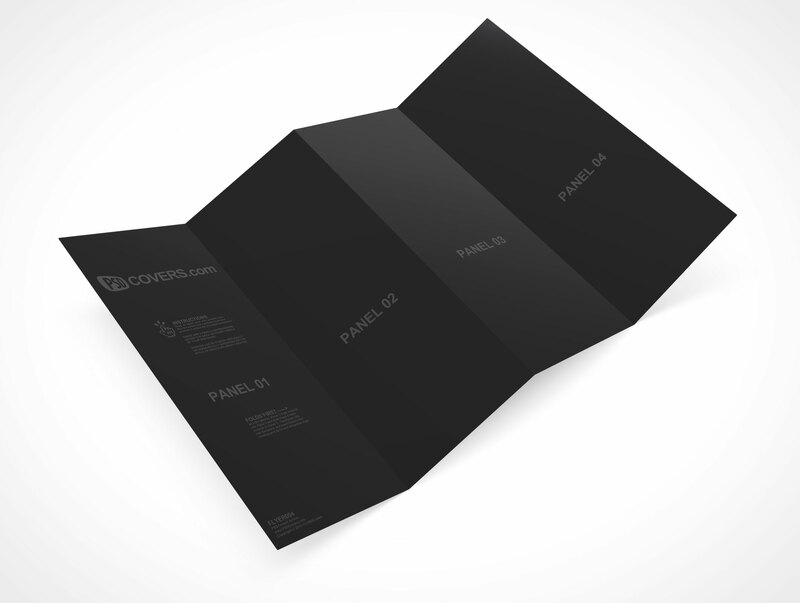 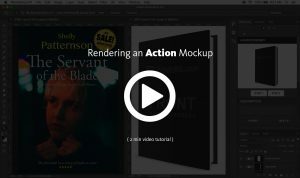 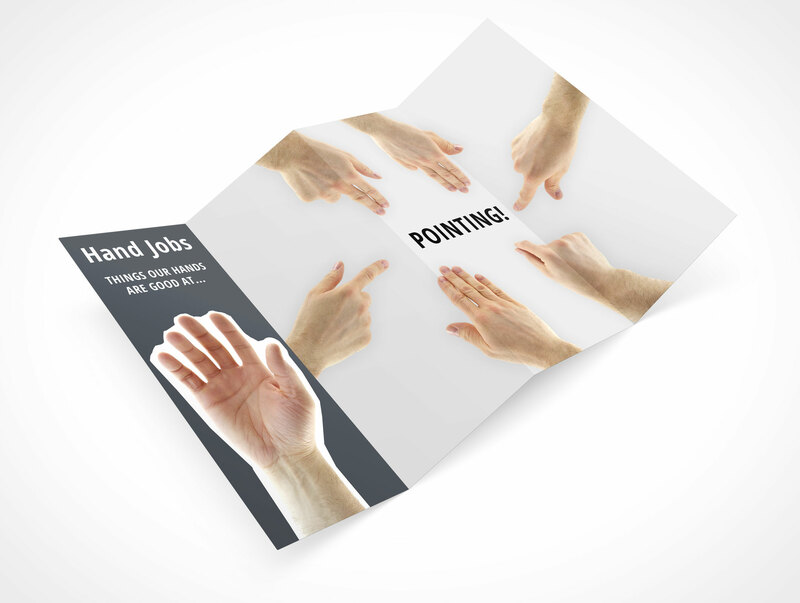 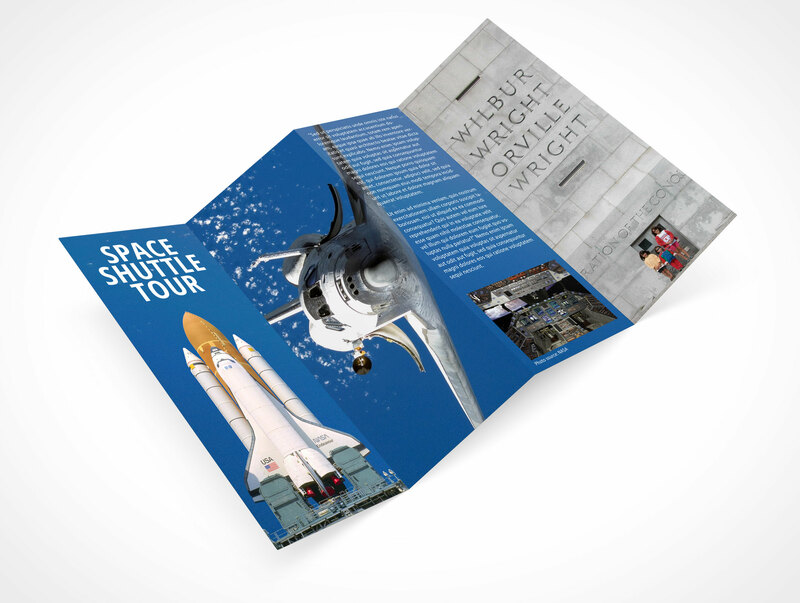 This 4 panel brochure Mockup template renders your flyer design laying on a surface facing directly towards the viewer and rotated at a 30° angle. 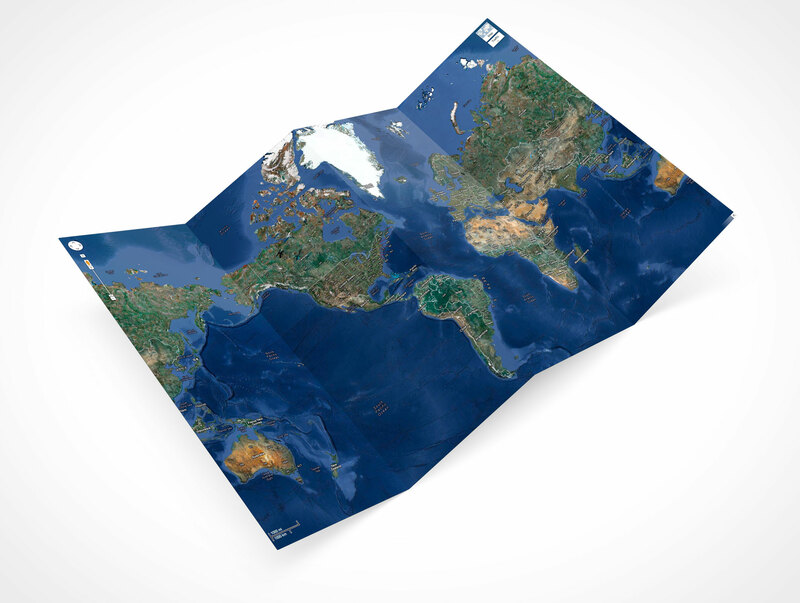 The view from above looking down is 45°.